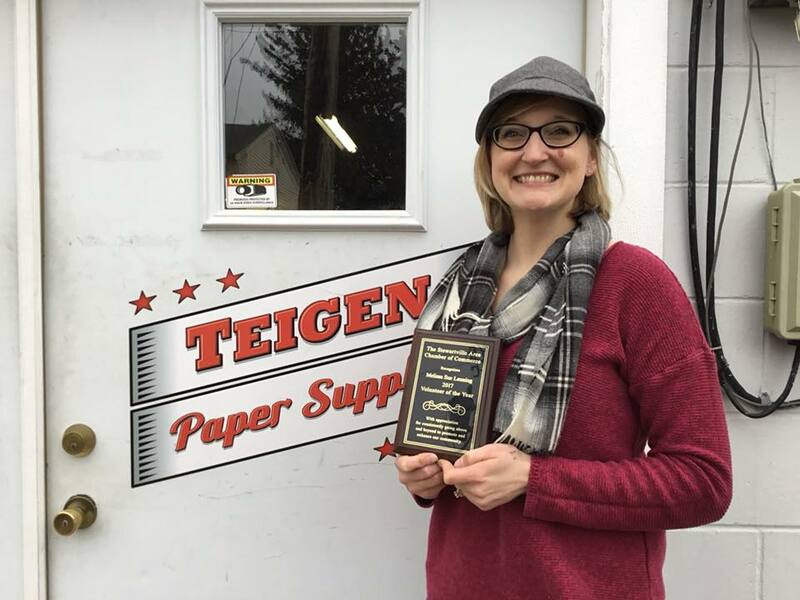 The Stewartville Area Chamber of Commerce annually recognizes an area Chamber Member with the Volunteer of the Year Award, presented at the Annual Banquet held in January each year. The Annual Volunteer of the Year Award provides opportunity to publicly recognize one Chamber Member who exemplifies the spirit of volunteerism and community leadership through participation in Chamber of Commerce committees, programs and activities. Al Chihak has been actively involved with the Stewartville Area Chamber of Commerce for several years as a volunteer for ALL of the events, a Director for the Chamber Board of Directors and a great sounding board for small businesses. Melissa Leuning has been actively involved with the Stewartville Area Chamber of Commerce for many years as a volunteer, several stints as an interim administrator, chairperson for Summerfest, Winterfest, Senior Appreciation Banquet and many other short term committees. Melissa served on the Executive Board of Directors as the 2014 Vice President , 2015 President and 2016 Past President and was a Director for many previous years and in 2017.